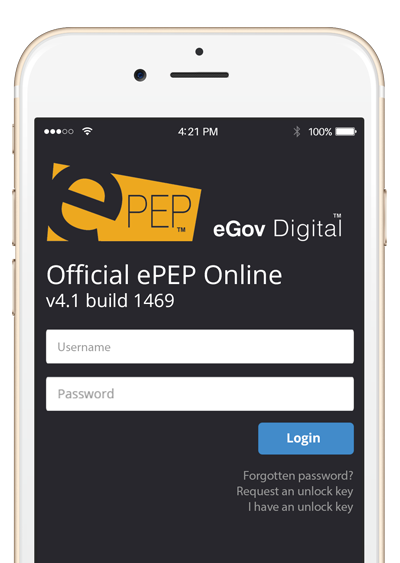 ePEP has been developed to suit most digital devices allowing professionals and young people to access ePEP from work, home or even on the move using smart phones or iPads. ePEP provides securely encrypted signal or duel layer authentication onto the Virtual School Platform from most digital devices and operating systems. The system is both Microsoft and MAC friendly, enabling professionals and young people to explore and update information on the move or from home. We conduct a detailed device compatibly study for all authorities when rolling out the Virtual School Platform to ensure access and performance is kept to the highest standards. ePEP is unquietly compatible with smart phone devices and iPads especially for social workers who may have limited access to computers. Young people can also access Squiddle (the young persons voice) using both smart phone and iPad devices, this provides a comfortable environment for them to frequently explore and get involved with their own educational record of achievement. ePEP is uniquely compatible with Smart Phone and iPad devices especially for social workers who may have limited time to access work computers. Young people can also access Squiddle (the young persons voice) from home or on the move. ePEP uses the strongest SSL certificates available to ensure data protection for all users. ePEP provides both single and duel layer authentication for all users accessing the platform. IP identification can be restricted. Our SSL protects you from possible threats of online fraud and information hacking. All activity and failed attempts to log into the system are reported. The information transferred through ePEP is encrypted with a digital certificate. This ensures confidentiality for the end user. Password and Username authentication helps us clarify the identity of ePEPs users when logging into the platform. Unusual user activity will be monitored and reported to internal security staff. Access will be restricted after 3 attempts of failed access. ePEP is compatible with IE8 and above enabling users to access the platform from all-most all computers from within local authorities who are currently waiting upgrades to IE11 and Chrome. We conduct a detailed device compatibly study for all authorities when rolling out the ePEP – the Virtual School Platform to ensure access and performance is kept to the highest standards. Using the Virtual School Dashboard live reports and KPI’s can be aggregated across schools, year groups or by individual children.